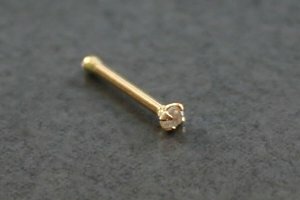 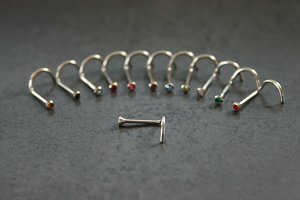 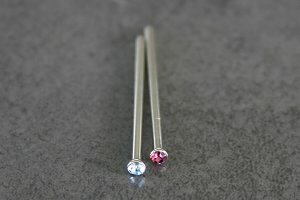 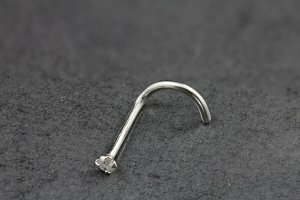 Look no further than this solid 14K yellow gold nose stud with a real 2.0mm Ruby. 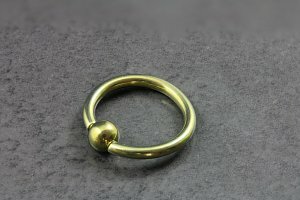 The setting is designed so that it'll lay flat on your nose and won't stick up like others can. 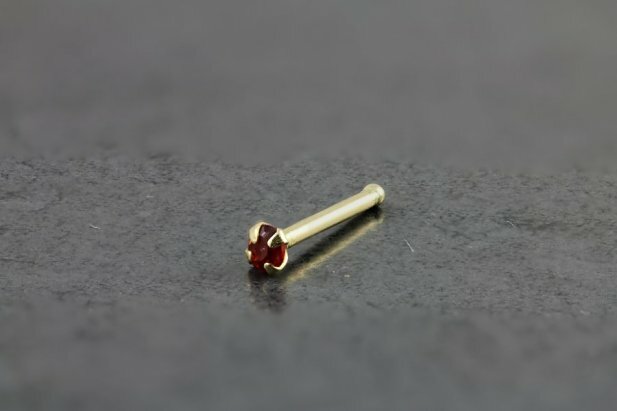 "Very beautiful stud The gold is beautiful and subtle the ruby gem is very pretty and elegant Will definately wear this alot "